Your local Mortgage Choice Mortgage Broker Tara Williams. We can help you find the right loan or build a financial plan for your future. Talk to us to get started. Your local home loan & finance team are here to help. We know how stressful and complicated the loan process can be. Finding the right loan for your first home, investment property, new car or commercial property can seem daunting. That’s where we come in. At Mortgage Choice in the Secret Harbour area, we have a friendly loan support team who help you through every step in the home loan process, making it as streamlined as possible and giving you a smooth transition into your new home or investment. Let us help you! Our home loan team will find the right loan for you from our panel of over 20 lenders, including all the big banks and some specialist lenders, to find you the loan that best suits your goals. Do you want to pay off your loan in lump sums? Or use the equity in your home to invest in another property? There are plenty of options and we’ll find you the right one. It’s not just about making sure we have found the right home loan for you. There is lots of paperwork and follow up that comes with it! But don’t stress, we’ve got you covered. Our home loan team will help you complete the required paperwork and follow up the banks for you so you don’t have to. We’ll also help you through each stage from pre-approval to settlement, and help the transition into your new home as easy as possible. We believe in working in our client’s best interests and making sure you’re aware of everything that comes with having a new home loan. We want you to feel comfortable and informed. Find out more about our Financial Planning services here. Our clients love the expertise available to them from a local team who know the market and the Secret Harbour area. But what they love more is that our home loan service is no cost to you as the lender you choose pays us a commission after your home loan settles - so you get a team of experts for no cost. 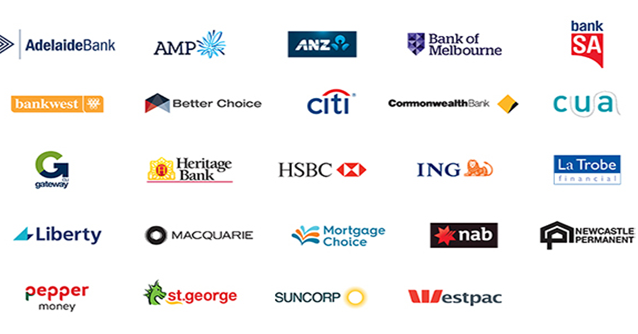 And as Mortgage Choice brokers we are paid the same commission regardless of the home loan you choose from our wide choice of lenders, so you can rest assured that we are presenting the best loan options for you - not for us. With other mortgage brokers, that may not always be the case. We would love to chat with you, no matter where you are in the loan or financial planning process. Call us for a quick chat on 0447 277 321 or click the Contact Us button at the top of the page. "Our experience with you was with a professional who was always ready to provide advice, communicated very well and helped right until the end in answering all our questions and providing some much needed help and correspondence during settlement day. This was provided even though it took us over 6 months from first contact to settlement on our house with multiple changes to the plan on the way through. You were always professional and a delightful person to deal with. Would be happy to recommend you to anyone we know, Thanks Tara." "Tara Williams from Mortgage Choice is amazing! The amount of help that she provided even with things that were not of her concern to do with the purchase of my property, I was actually taken back by her great service and willingness to help me through my property purchase, my situation was different to the average house purchase and she was on point with everything, I absolutely highly recommend Tara she is amazing and you won't find a better mortgage broker out there!" "Being a first home owner the process was very daunting but I am very appreciative and grateful for the help you provided Tara throughout the entire process. Very responsive and prompt and answered any I concerns that I had. Thank you!!!" "Responded promptly to questions and emails, acted friendly and professionally at all times." "This is the second time I have used Mortgage Choice, and I am very happy with Tara William's service to us. Tara was able to answer all of my Loan questions quickly, and offer great advice along the way. I have already recommended her to a co-worker. Thanks!" "Tara made the entire process from start to finish, stress free and very easy for us. Really nice and professional to deal with. Would highly recommend Tara"
"Great service provided throughout the loan process kept up to date with the progress very helpful"